Our most recent Month in Review document features commentary about the residential, commercial and rural markets all around Australia from our Herron Todd White team who provide not only an overview of how their industrial markets are performing but also highlight locations where new development is underway. You can sign up to this monthly, free extensive property report here. Industrial remarkets remain a ‘must watch’ for most investors because they’re a great litmus test on the health of the overall commercial sector in any given location. It’s a stellar summary of growth projects and new infrastructure bringing in buyers and bolstering the industrial sector. There has been substantial growth in industrial values, especially over the past three years, due to increasing demand, decreasing market yields as well as increasing land values and rising rents over the past 12 months. Market yields for larger prime investments are in the order of 5.5% to 6.5% while yields for smaller strata units in good locations are ranging between 4% and 5%. In the case of the latter, investors are seeking higher returns than obtainable from residential investments or are looking for a haven for their super funds. 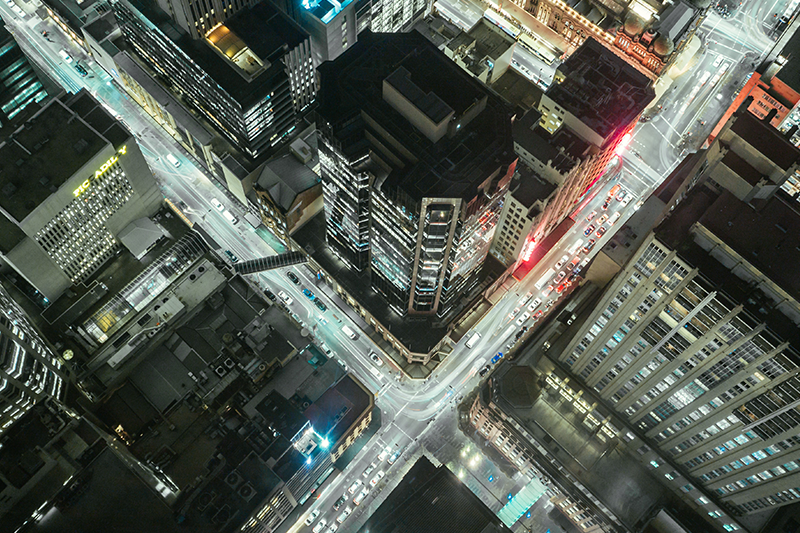 Owner-occupiers continue to be strong in the Sydney market, creating strong competition for assets which has driven capital values higher and seen yields firm with effective rents across Sydney increasing by an average of 5%. This has seen investors enter the secondary market in search of higher yields. With prime yields compressing, we anticipate that the spread between prime and secondary industrial assets will tighten over the coming twelve months as investors look for higher performing returns, with development upside. Rental growth remains strong and this is unlikely to change in 2018. Infrastructure projects have been driving demand for industrial properties including land. There is much speculative buying happening, especially in the western Sydney region. Sydney’s western industrial areas will benefit from the proposed completion of the North-South rail link, with the first stage from St Marys to Badgerys Creek via Western Sydney Airport due to be completed by 2026. The airport itself is due to be partially operational by 2026 and fully finished five years later. Installation of power has started at the airport site and clearing of the site is due to start later this year. There is also some speculation about planned road and freight rail lines, including one that will connect to Erskine Park which is being considered but is not yet confirmed. Freight rail lines connecting from other intermodal transport services are also being investigated. 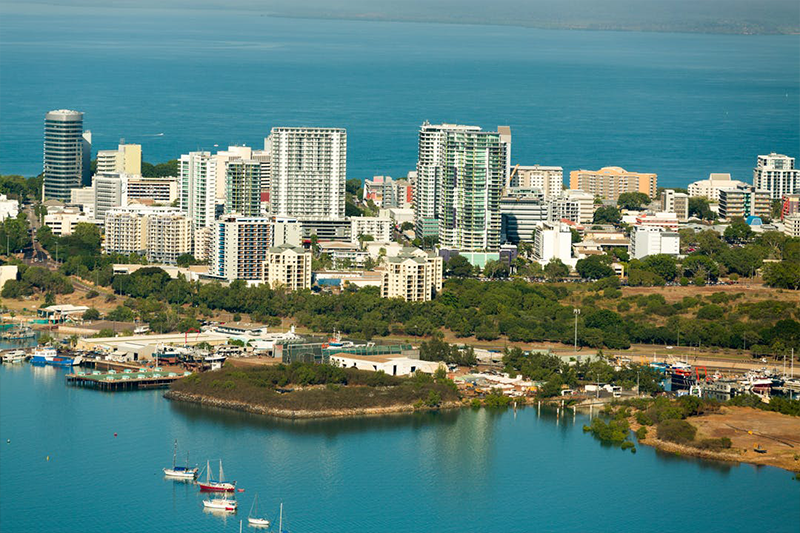 The confirmation of the airport along with the planned freight lines, passenger rail lines and major road projects have seen buyers looking to secure sites in the area. Construction on the intermodal terminal at Moorebank is underway and is currently at Stage 1. Stage 2 is due to commence in 2019 with the first operations commencing in 2019/2020. The Moorebank intermodal terminal will be able to handle interstate freight trains, up to 1.05 million TEU per year of import-export freight and another 500,000 TEU per year of interstate freight. It will also provide a direct link to Port Botany. The intermodal terminal is well located next to the M5 Motorway and near the M7 Motorway and Hume Highway. As an example, future industrial development land in Bringelly is currently achieving a rate of around $1 million per acre for land that is currently zoned rural. In nearby Leppington, light industrial land along Bringelly Road with no services is achieving over $200 per square metre. Elsewhere in Sydney, DA approved land of over 10,000 square metres is attracting rates of over $600 per square metre. There is a lack of suitable land for industrial development, which has seen new strata buildings constructed in older industrial areas such as Marrickville and expansion of existing areas on the outskirts of the Sydney metropolitan area such as Penrith, Mount Druitt, Kemps Creek and Erskine Park to the west and Smeaton Grange to the south-west. In fact, the lack of land supply has seen an increase in multi-level industrial units. Examples of new offerings include First Estate at Erskine Park which is approximately 48 hectares and will provide large format logistics and warehousing. Examples of strata industrial estates include The Horsley Business Centre at Smithfield which comprises brand new strata industrial units. Agents advise that sizes start from 156 square metres and are priced from $695,000 plus GST. The Kookaburra Business Park at Belrose also provides 30 new units. Sales in this development are reflecting between $4,000 and $4,800 per square metre and range in size from 100 to 250 square metres. With interest rates remaining low and a relatively stable economy, new industrial developments are continuing to come onto the market. This can be seen in growth corridors across Melbourne and the outer fringes, including suburbs such as Clyde and Pakenham in the south-east, Truganina and Derrimut in the west and Epping in the north. The movement of the Melbourne fruit and vegetable market into Epping has created an influx of demand from food grade users to move into the locality in preference to competing areas such as Campbellfield, Somerton and Coolaroo. The surplus zoned industrial englobo land creates ample opportunity for subdivisions in Epping and the close proximity of major transport routes such as the Hume Freeway, Hume Highway and Western Ring Road pushes demand up, thereby increasing the underlying land values. Within the western region of Melbourne, the West Park Industrial Estate located in Derrimut encompasses approximately 310 hectares of industrial land, parts of which are established with tenants and others with vacant land available for development. Similar to the northern industrial precinct, the West Park Industrial Estate is well located, being close to major transport routes such as the Western Freeway and Western Ring Road. Greenfield land is readily available throughout south-eastern suburbs such as Keysborough, Dandenong South, Lynbrook and Pakenham. The development of the South East Business Park in Pakenham consists of a staged multi-lot development, with over 50 percent of the available land already sold. The current planned infrastructure upgrades and road projects will benefit the industrial corridors across Victoria, including projects such as the Western Ring Road Upgrade, CityLink Tulla Widening, West Gate Tunnel Project and the anticipated North East Link Project. The completion of these upgrades will positively impact the aforementioned growth corridors across Melbourne and allow for further efficiencies in transportation and logistics, particularly with regard to the growth in e-commerce and the importance of distribution centres. These infrastructure upgrades are creating stable links between destinations, reducing the risk of contingency when transporting goods. Across the industrial market, rents have continued to stabilise with little movement noted. Yields, on the other hand, are a different story and are continuing to firm, particularly for well-located investment properties with strong lease covenants and WALEs. We expect that with the supply of englobo industrial land throughout Melbourne, industrial developments will continue to meet the demand for both owner-occupiers and investors. Brisbane’s industrial space has seen a few new estates come online recently and they all have two things in common: good access to major transportation infrastructure and surrounding amenities. This is the case in particular for North Lakes Business Park (further stage released in 2017 and now almost sold out), Metroplex at Westgate South in Richlands (one lot remaining) and Colmslie Business Park on Lytton Road in Morningside (recently released). North Lakes Business Park is a mixed-use development precinct that accommodates a variety of uses including retail, office, warehousing and service industry. This prime location has attracted a wide variety of occupiers due to its exposure and road connectivity to the Bruce Highway, Gateway Motorway and Gympie Road. Stage 1 was completely sold out after being released in 2017 and Stage 2 is expected to come online around the third quarter of 2018. Metroplex at Westgate offers an alternative to Brisbane’s existing high profile commercial centres within the CBD, Airport precinct and Port of Brisbane. The Metroplex South estate is located in Wacol within Brisbane’s western growth corridor and sits at the nexus of the Ipswich Motorway, Logan Motorway and Centenary Highway. Metroplex Westgate is serviced by both rail and bus transport options. Transportation infrastructure around Metroplex Westgate has been significantly upgraded, making it a prime industrial location. Colmslie Business Park’s prime location within the TradeCoast is a major asset to the development, having direct access to the Brisbane Airport, Port of Brisbane and major transport routes with the added benefit of being close to the CBD, major infrastructure and public transport. The TradeCoast precinct is the most tightly held industrial precinct in Brisbane. We expect to see high levels of pre-commitments throughout 2018, as was seen in 2017 with a 19% increase in space from 2016 supply levels. This is due to the desire of tenants to occupy new, modern space with attractive rents and good incentives. On the other hand, we have seen limited levels of speculative development. Development activity for owner-occupiers has been subdued with Sigma Pharmaceuticals being the only major build in 2017 of approximately 14,990 square metres. We expect to see the Hilton Foods meat processing facility at Logos Heathwood Logistics Estate which will comprise circa 45,000 square metres as well as a Coca-Cola Amatil expansion completed in the first half of 2018. 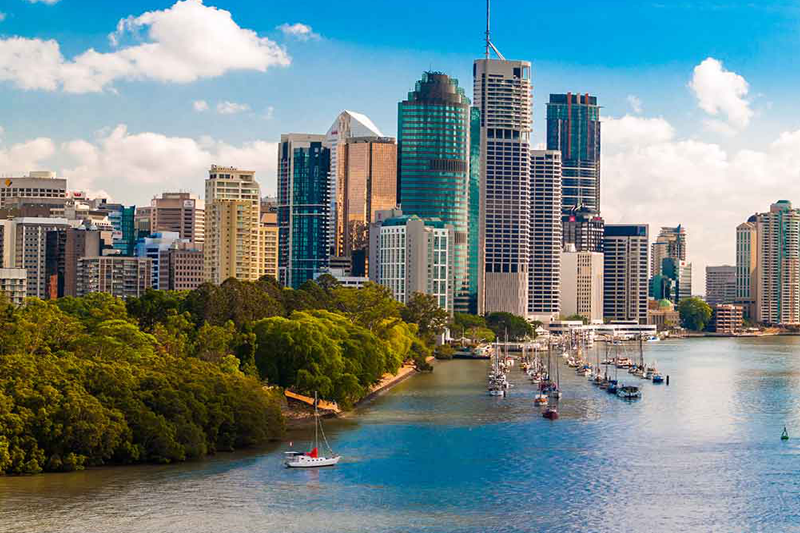 Several transport-related infrastructure projects are well underway in Brisbane that will help to stimulate industrial development through better connectivity and transport options. Notably, the Kingsford Smith Drive update commenced mid-2016 at a cost of $650 million and involves widening Kingsford Smith Drive from four to six lanes in certain areas, road improvement works, public transport improvements and cycling and pedestrian infrastructure. The project should be completed in 2019. Brisbane Airport Corporation (BAC) has invested $1.7 billion in infrastructure projects since 2012 with a further $1.7 billion investment in redeveloping the domestic terminal, building a new runway, building a new multi-storey car park, investing in the latest passenger friendly technology and developing a new Industrial Park and Auto Mall project. The Gateway Upgrade North Project (Nudgee to Bracken Ridge) is a $1.143 billion project aimed to reduce congestion (particularly from population growth and continued expansion of the TradeCoast), improve safety and increase the efficiency of the motorway network. The Logan Enhancement Project is a $512 million project to improve congestion along the Logan Motorway/Mt Lindesay Highway/Beaudesert Road interchange and the Wembley Road/Logan Motorway interchanges. It also includes construction of south-facing on and off-ramps on the Gateway Extension Motorway at Compton Road. The Inland Rail is another major project that will see the construction of a 1,700-kilometre freight rail that will run from Tottenham in Victoria to Acacia Ridge in Queensland. This will be up to ten hours faster than the existing rail network via Sydney and will help reduce congestion on highways. Overall, industrial yields stabilised over the first quarter of 2018. Prime yields are currently sitting between 6.25% and 7.25% with the TradeCoast precinct having the tightest investment yields, whilst secondary stock typically ranges between 8% and 12%. Rent levels have been subdued for some time now but have remained stable over the past year. Developers offering competitive rents and decent incentives in the pre-commitment market are a couple factors holding back rental growth. Leasing demand increased over the first quarter of 2018 and was mostly concentrated in the south side. Net face rents for prime industrial assets generally range between $95 and $140 per square metre per annum whilst secondary rents range between $50 and $100 per square metre per annum. Incentives being offered to secure tenants typically range between 5% and 20% for prime assets depending on size and between 8% and 25% for secondary assets. The majority of leasing transactions during 2017 were design and construct and pre-commitments, with a high volume of this also expected for 2018. 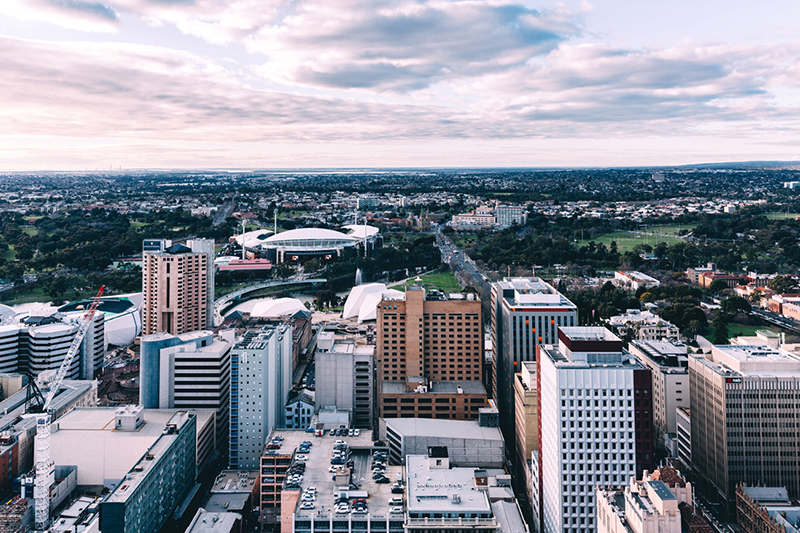 Renewal SA has a number of industrial projects predominantly situated to the north and south of the Adelaide CBD. The Grand Trunkway Estate and Port Direct developments to the north-west of the CBD and close to Port Adelaide, Edinburgh North to the outer north, Tonsley to the south and Seaford to the outer south. The Grand Trunkway Estate is a General Industry zoned development of 15 hectares and has strong transport links to the Outer Harbour, Interstate Main Rail Line and the Port River Expressway. Renewal SA also retains land for further stages and to accommodate occupiers with larger land requirements. Further north-west is the Port Direct development of 27 hectares which has good access to the Outer Harbor import/export facilities and to the facilities within the Naval Shipbuilding Precinct which is within 1.2 kilometres. The Northern Adelaide Food Park at Edinburgh North is proposed to be the state’s premier food manufacturing precinct. The site was previously earmarked for the Parafield Airport, however concerns from tenants and purchasers relating to the ownership of the land have caused the government to reconsider. The Seaford Industry Park project commenced in 2004 with the aim to support food and wine businesses with links to McLaren Vale. The development is zoned General Industry and aims to support the fast-growing suburbs south of the Adelaide CBD. Tonsley, the former Mitsubishi Motors assembly plant, is in the process of being completely re-developed into a mixed-use district with residential, high-value manufacturing and commercial allotments. The Main Assembly Hub, an 80,000 square metre warehouse, has been adapted for re-use as the centre of Tonsley’s social activity and features shops, cafes, services and facilities. The General Motors Holden site of approximately 122 hectares at Elizabeth (north of the Adelaide CBD) is reportedly under contract to an interstate developer with a large portion of the site to be transformed into an innovative business park. Reports indicate that Holden will retain a significant portion of the site as a spare parts operation and the history of the site will also be recognised with a proposed heritage and hospitality centre. The above developments are not considered to be situated within prime industrial locations. The premier industrial precinct within Adelaide is Regency Park which is partly due to its proximity and ease of access to major transport routes. 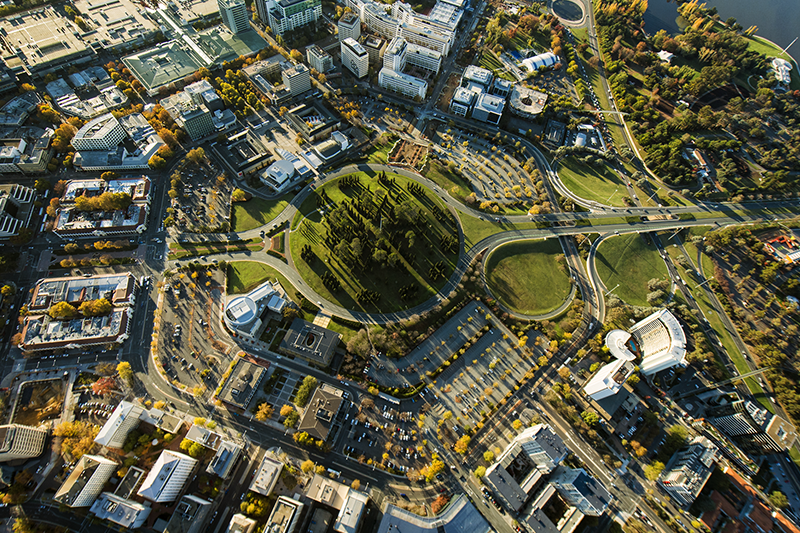 The North-South Corridor is integral to the delivery of the 30-Year Plan for Greater Adelaide. At present, there are a number of stages and ongoing works underway for the project, spanning some 78 kilometres between Old Noarlunga and Gawler which include a series of strategic non-stop links to connect the expanding industrial and residential growth areas in the north and south, as identified above. Herron Todd White Research and M3 Property Research have seen yields within well located, prime industrial locations tighten. Knight Frank Research indicates Prime industrial yields across all precincts are typically between 7.75% and 8.75% whilst secondary yields are between 9% and 9.75%. 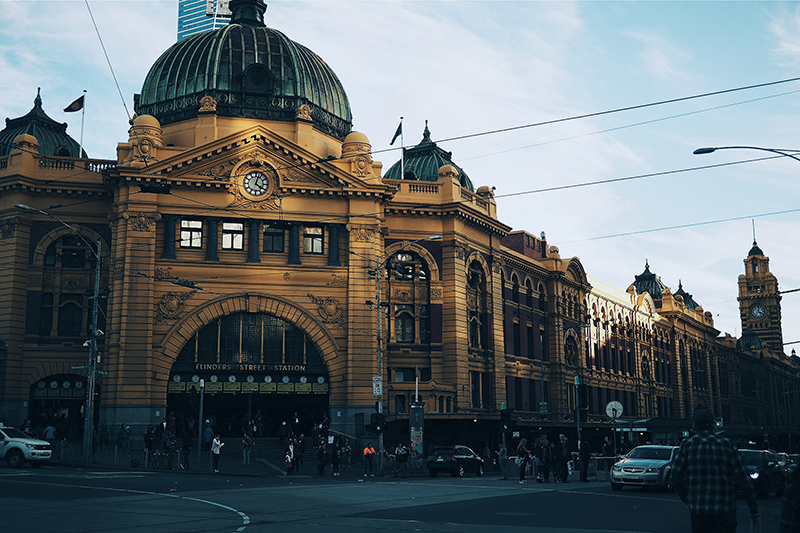 Market reports indicate that owner-occupiers have become a prominent purchaser group since the progressive phase-out of Stamp Duty in South Australia from 1 July 2016. This, as well as the relatively low and competitive interest rates, has benefited purchasers and we believe will continue to do so in the near future after the full abolishment at the end of the 2017/18 financial year. The broader Perth industrial property market has remained subdued in the past 12 months, with these market conditions being coordinated with the downturn in the resources sector which had previously driven strong rental and capital value growth. Discussions with agents active in the leasing of industrial accommodation indicate there is minimal inquiry for vacant space and a number of in-situ tenants are continuing to reconsider their space requirements in the context of the current weak market conditions. There is clear evidence of a “lessee’s market” at present with the limited number of prospective tenants taking advantage of the oversupply of stock and often able to negotiate very attractive deals. To an extent, industrial leasing activity is “mirroring” trends in the Perth office market with a “flight to quality” evident. Face net rental rates for prime industrial warehouse premises tend to range between $75/m2 pa and $90/m2 pa; whilst rates for secondary quality space are commanding between $55/m2 pa and $65/m2 pa.
From a purchase perspective, demand for industrial property has generally also been subdued with a low volume of transactions during the last 12 months. These soft market conditions are more pronounced within secondary industrial precincts. There have been few opportunities to acquire good quality, securely leased assets. Somewhat counterintuitively this has led to yield compression for such properties despite the general malaise that has engulfed the broader WA economy. Yields for prime industrial assets tend to fall between 6.25% and 7.50% with yields for secondary industrial properties much softer. Discussions with the real estate agents active in the sector also confirm the softening in demand for vacant industrial land. Feedback suggests the lack of demand tends to be a function of the very limited number of prospective buyers as opposed to pricing, particularly for those sites > 2 hectares. Recent land releases within established industrial precincts, namely “Tonkin Industrial Estate” in Bayswater and “Swan Brewery Industrial Estate” in Canning Vale, have been met with reasonable demand although sales rates in the latter estate have tapered off during the last 6 months. The supply of new industrial space (including speculative development) during last year has been minimal and a function of the prevailing soft levels of demand. This trend is unlikely to change in the short-term. We may begin to see an increase in the refurbishment or repositioning of older-style facilities to cater for the tenants demanding more efficient and modern facilities, mainly in the traditional industrial areas. 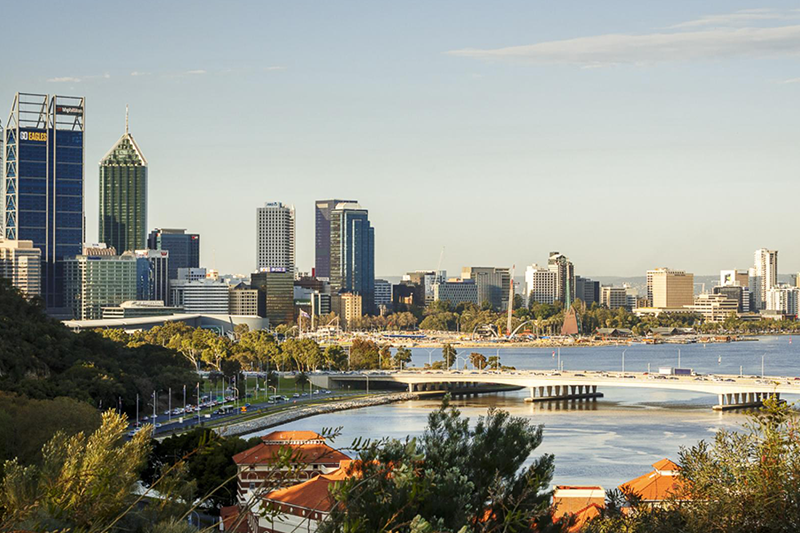 Two notable infrastructure projects currently underway in Perth include the Forrestfield Airport Link and NorthLink WA. The Forrestfield Airport Link is the construction of a new passenger rail line linking Perth City to Perth Airport and continuing further east to the suburb of Forrestfield. Once completed this project is likely to enhance the profile of the Forrestfield industrial precinct and drive new development particularly around the train station. Construction is well advanced and scheduled to be operational in 2020. NorthLink WA is a $1.02 billion transport project in Perth’s east/northeastern corridor to be constructed in three (3) stages. Stage 1 has already been completed and Stage 2 is well underway. Once all sections are complete (estimated for the middle of 2019) NorthLink WA will provide a non-stop transport route from Morley to Muchea and likely to directly benefit industrial estates in that corridor. The major growth zones for industrial land supply are centred around Berrimah. Berrimah is 12 kilometres east of Darwin, about midway to Palmerston. It has been one of Darwin’s main industrial areas since the 1960s although the northern area along Boulter Road is now undergoing residential development. Berrimah is close to the demographic centre of Darwin and we are also witnessing its development as a retail and bulky goods precinct especially along the highway with developments such as the Amart complex (under construction). The latest development is Stage 2 of Berrimah Business Park, with titles expected to issue shortly on this new commercial and industrial land. Stage 1 was quite successful, with developments along the highway frontage of retail type facilities as well as Darwin Corporate Park which has managed to attract a number of businesses out of the CBD due to its close proximity to many clients and availability of parking. Stage 2 has already negotiated a commitment from Fisheries for a new headquarters. There are a number of other industrial estates in and close to Berrimah including Hidden Valley Business Park, Wishart Business Park, City View Estate and Truck Central. These generally are more industrial in nature. Truck Central is currently under construction and will be the new location of Darwin’s Motor Vehicle Registry and is expected to attract businesses associated with logistics. Due to the oversupply of industrial-type land and weak economic conditions, the market for industrial property around Darwin is enduring a moribund phase. The recent decision by the Northern Territory Government to allow hydraulic fracturing should stimulate exploration and development of on-shore gas reserves, especially in the Beetaloo Basin. Despite this being about 800 kilometres from Darwin, it is hoped that in the long term it will stimulate some demand in the Darwin industrial sector for logistics associated with exploiting this resource. Mitchell – Steady market with low to medium activity. 15 Albany Street, Fyshwick sold over late 2017/early 2018 for $3.8 million. The 2,693 square metre property is leased to a long-term furniture retailer and is utilised as a warehouse/showroom for bulky-goods and furniture. 27-29 Raws Crescent, Hume sold in May 2018 for $2.657 million. The warehouse property featured a new five plus five year lease to the property’s long-standing tenant. The gross floor area of the warehouse totals 2,600 square metres and the property is situated on a 6,493 square metre parcel of land. Yields are 7% to 8% and rents are $100 to $160 per square metre. Industrial development around the ACT appears to be materialising after a term of relatively minor activity. The developing industrial suburb of Beard has witnessed various new industrial projects, although the suburb still features a large quantity of undeveloped vacant land which is expected to be developed over the short to medium period. Throughout 2017 and 2018, most of the industrial land in Beard sold for between $250,000 and $350,000, with most land parcel sizes ranging between 750 and 1,300 square metres. One notable redevelopment within the established industrial areas is the revamp of the Fyshwick Markets, which is set to extend the markets and make way for an extra 40 new traders. The revamp will aim to have a contemporary warehouse-like feel to remain consistent with the industrial nature of Fyshwick.